In Monster High Nose Doctor, Laura and Frankie are having major health problems in their nose. They are going straight to the hospital and need your help to heal them of all the problems! Show your doctor skills in this fun game! 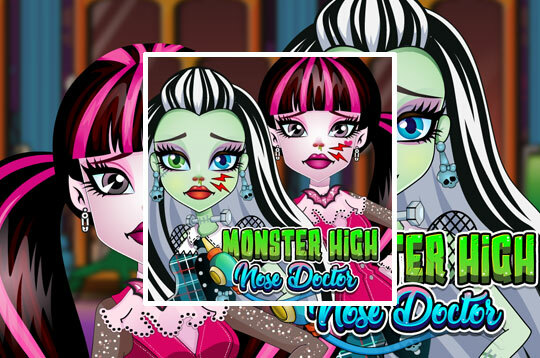 - Play Monster High Nose Doctor Free and Enjoy! The biggest and best collection of free online games, play now you will find many games already consecrated on the internet in various categories such as girls games, shooting games, racing games, sports games, zombies games, cokking games, war games, dress up games among many other categories. Games are updated daily! The online games evolved along with the evolution that happened on the internet, it was formerly common to see games created in tools like Flash, but this changed the HTML5 dominated the web animations, audio and video players and consequently the games. For this reason we want to build a collection with the best games on the internet, all of them separated by categories to facilitate your search for your favorite game, we are happy to start this work and hope to contribute to a better internet!